In one of the earliest postings on this blog, the difficulty of defining the exact limits of the Old Testament within the many language traditions of the Orthodox Church was described. Though there is clear agreement on a certain set of books and their authority across all of Orthodox tradition, the exact list of books found in a published Orthodox Bible will largely be a function of the language tradition from which that Bible comes. Many of the books of the Old Testament which all of the local churches agree are authoritative are not read from publicly in our present liturgical life, which further complicates the issue of the canonicity of certain of those books. One such text is 4 Ezra, also sometimes known as 2 Esdras. Though scholars agree that the central portion of the text was originally written in Hebrew and then translated into Greek, neither the Hebrew nor Greek are extant today, as it is not included in the Greek tradition of the Old Testament. This text, however, enjoyed widespread popularity in the early church, and was cited by a wide range of Church Fathers, usually as ‘the prophecy of Ezra’ or ‘the apocalypse of Ezra’. St. Ambrose of Milan cited it with special frequency. Such was its popularity that St. Jerome translated it as part of the Old Testament of the Vulgate, though he placed it in an appendix with other popular texts which he personally did not hold to be canonical. It was well known in the West in its Latin form until the time of the Protestant Reformation. Christopher Columbus cited 4 Ezra 6:2 as one of his proofs of the world’s composition in his appeal to the Catholic Monarchs for funding. It is likewise found in Ethiopian and Armenian Old Testaments, and importantly for the Orthodox Church, in the Georgian, through which the text found its way into the Slavonic Biblical tradition. It has been included in every approved Slavonic and Russian printed Bible. 4 Ezra is therefore a text at the fringe of the Old Testament tradition, either just in or just out depending upon the linguistic tradition of Orthodoxy in which one is located. Regarding the title of the text, the various texts associated with the Prophet Ezra were enumerated by Second Temple Judaism and the ancient church in various ways. In most English Bibles, one will find the books of Ezra and Nehemiah in the Old Testament representing this material. Originally, what are now known as Ezra and Nehemiah were originally contained and preserved in one scroll. These were later divided into 1 and 2 Ezra, with the latter later being renamed Nehemiah. Within the Greek Old Testament tradition, there is another text, 1 Esdras, which represents an earlier stage in the development of the Ezra-Nehemiah text. 1 Esdras in the Greek tradition reproduces the last two chapters of 2 Chronicles, followed by the majority of the text of Ezra, though in a different order. In the traditional Greek numbering, then, 1 Ezra is this composite book, 2 Ezra is what we now call Ezra, 3 Ezra is what we now call Nehemiah, and 4 Ezra is the text that we are now preparing to discuss. In the Latin numbering, St. Jerome translated Ezra-Nehemiah as one book, entitled 1 Esdras, and the book we now prepare to discuss he entitled 2 Esdras. The remainder of this posting will utilize the 4 Ezra title for this book. Many Second Temple Jewish texts which have been preserved for us within the church at the fringes of the Christian canon come down to us in Christian recensions, or versions edited by the Christian community from a Jewish Hebrew original. In the case of 4 Ezra, the editing is fairly obvious. The first two and last two chapters of 4 Ezra are found only in the Latin version, none of the eastern versions, and contain explicitly Christian material. These first two chapters (sometimes separated off by scholars and referred to as 5 Ezra), are a Christian interpretation of some of the apocalyptic material in the original text. This centers specifically on prophecies in 4 Ezra concerning the destruction of the temple in Jerusalem, the concurrent judgment of the people of Judea, and the calling of the Gentiles. 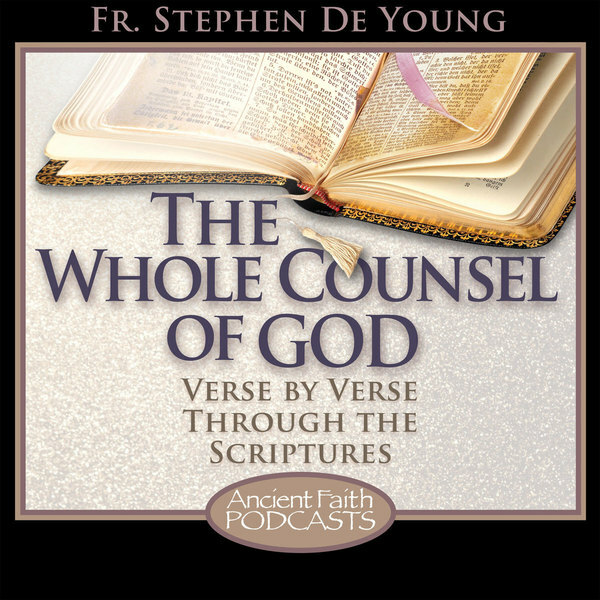 These chapters describe the fulfilment of these prophecies in the 1st century, and point forward to the return of Christ. The last two chapters, 15 and 16, are likewise clearly Christian, and make apocalyptic prophecies regarding events that will proceed Christ’s return. These two chapters are sometimes separated off by scholars and referred to as 6 Ezra. 4 Ezra proper, then, is made up of chapters 3-14 of the Latin text, or 1-12 in the eastern language editions of the text. It is generally agreed to have been a product of the early to mid-1st century AD Jewish community, though many have argued that certain elements, prophecies, and imagery within the text date to earlier centuries before their compilation into this text. The text is structured around a series of revelatory visions received by Ezra during his earthly life in the 5th century BC. There are many features of the text which connect it to other Second Temple Jewish literature of the last few centuries before Christ. One major such feature is the appearance of the Archangel Uriel as the mediator and guide of Ezra through many of his visions. Uriel is the fourth of the seven archangels. While St. Gabriel and St. Michael are mentioned throughout scripture and St. Raphael appears in the book of Tobit, St. Uriel appears throughout Jewish and Christian traditions and literature, but he is not named in the scriptures proper. In addition to 4 Ezra, the Archangel Uriel appears as the angel who rescues St. John the Forerunner from Herod’s massacre of newborn children and leads him to the desert, and accompanied the infant Christ, the Theotokos, and St. Joseph the Betrothed in their escape to Egypt. He is identified in Jewish tradition as the angel with flaming sword who guards the gate of paradise (his name in Hebrew means, ‘The fire of God’). Relatedly, the Apocalypse of Peter presents St. Uriel as the angel who judges repentance. Both St. Dionysius the Areopagite and St. Gregory the Dialogist name him among the archangels. In Orthodox iconography, St. Uriel is often identified by name in the Synaxis of the Holy Archangels. Seven visions comprise the text of 4 Ezra, with St. Uriel serving as guide in much the same way that St. Gabriel serves in Daniel. The first three visions are given in response to questions from the prophet. First he asks how if God is just, Israel can be left in the misery of exile, as despite returning to the land, she remained under foreign rule. Second, he asks why Israel was sent into exile in the first place. Third, he asks why Israel is not the power that controls the known world, as opposed to a pagan empire. In all three cases, language reminiscent of that of Job is used to explain that human persons cannot understand the ways of God, but that all of the pain, turmoil, and suffering to which Ezra points is temporary, as the day of judgment is coming. On that day, justice will be established for all, the righteous being vindicated and the unrighteous punished for their sins. Judgment here is promised to a suffering people, and not envisioned by them as a threat. The second set of three visions concerns the coming of the Messiah. The fourth vision concerns a bridegroom, who dies upon the threshold of the bridal chamber before the wedding can be consummated. This death is mourned by the bridegroom’s mother, who in the vision becomes a city, and is identified with Zion itself. This mourning then turns to rejoicing in the following days. The imagery of this vision is not only redolent with much of the imagery of the New Testament concerning Christ as the bridegroom, but also becomes the source for a considerable amount of the hymnography of Holy Week and Pascha in the Orthodox Church. This can be seen in the Bridegroom Matins services, and especially in the Theotokion of Pascha, where the imagery of the Theotokos, the city, and Zion are drawn together in celebration of the resurrection of Christ. The fifth vision is that of a three-headed eagle with two sets of twelve and eight wings respectively, which is identified with the fourth kingdom of Daniel’s vision, and therefore Rome. This beast is defeated and burned alive by a lion, representing the Messiah, the lion of the tribe of Judah. The sixth vision is of the Messiah himself, who is attacked by an angry mob whom he consumes with fire. He then leaves them for another group of people who become his disciples. This vision is interpreted in the later Christian additions as referring to the judgment of the Judean people and the turn of the Gospel to the Gentiles. The seventh and final vision serves as a sort of capstone to the text, and reflects a version of a Jewish tradition that was carried over in many early Christian communities involving the loss of the Old Testament scriptures. There are a variety of versions of this story reflected not only in this texts, but in texts such as the Epistle of Barnabas and others. It is referenced occasionally by the Fathers, including St. Jerome at one point in reference to the specific form of the tradition in 4 Ezra. While there is a great degree of variation, there was a tradition that at some point in Israelite history, the entirety of the texts which we now call the Old Testament were lost. The most common time this was thought to have happened was at the destruction of Solomon’s temple and the Babylonian exile. Other traditions, such as Barnabas, however, place this loss as early as the sin with the golden calf shortly after the Torah was given. In the seventh vision of 4 Ezra, this problem is remedied by Ezra mystically receiving these texts again and writing them in a sort of spiritual stupor, reproducing them word for word. He reproduces the 24 books (the ancient numbering of the 39 books of the Hebrew Bible), and is told that these books are to be made available to everyone. He is then enabled to reproduce ‘the 70’ which are to be entrusted only to the wise. While some scholars have suggested that this represents another 70 books belonging to some sect or other, there is no known sect of Judaism or Christianity with a canon of that size, nor are there any other books somehow related to 4 Ezra which would make likely candidates for inclusion. It is much more likely, then, that this is a reference to the Septuagint, the work of the 70, and reflects the special status which the Greek translation of the Hebrew scriptures still held within 1st century Judaism. The book of 4 Ezra has two major foci, which are merely emphasized by the later Christian additions. The first is the powerful transformative moment of the grieving mother who becomes the city, which has been translated in Orthodox worship to a dramatic and transformative liturgical moment at Pascha. The figure of the Christ, the Messiah, is seen in 4 Ezra as a pivot point in history, from one age to another, not as the final end, with that pivot being what occurs immediately after his death. It is because of this change, and the coming of the Messianic age, that humanity from all nations must prepare for the coming judgment. “Therefore I say to you, O nations that hear and understand, ‘Await your shepherd, he will give you everlasting rest, because he who will come at the end of the age is close at hand. Be ready for the rewards of the kingdom, because the eternal light will shine upon you forever'” (4 Ezra 2:34-35 Vulg). I enjoy your blog very much! It’s always eye-opening, especially as you reference Jewish traditions and beliefs at the time of Christ that are fulfilled in the Orthodox Church today. I’ve become fascinated with the beliefs and literature of Second Temple Judaism, but it’s hard to know where to start studying that period. Can you recommend any good intro-level books for Second Temple Judaism? Thanks so much and God bless! There’s not a really good all around introduction to Second Temple Jewish literature that I’m aware of. It covers a lot of ground. A basic place to find a lot of this literature is in the two-volume Old Testament Pseudepigrapha edited by Charlesworth. This has detailed, helpful introductions to each text, but a lot of the scholarly information is now out of date, especially since it doesn’t reflect the Dead Sea Scrolls. There are a number of good introductions to the Dead Sea Scroll literature, and translations of same. Geza Vermes’ translation, which has gone through 7 editions, has a lot of good introductory material and has the benefit of being very affordable. For your consideration: A few resources…Susan Docherty’s “The Jewish Pseudepigrapha: An Introduction to the Literature of the Second Temple Period” (Minneapolis: Fortress, 2015) is a good primer and is newish (although, it has some holes such as Wisdom Lit…). This is a good primer for a basic college course. One of my faves, just because I like history…”Historiography and Identity (Re)Formulation in Second Temple Historiographical Literature”. It is historiography and Second Temple Lit but still a fun one…There are more but Stephen might cut off my access. This is a book that was a complete unknown to me, coming from my non-apocrypha background. I tried to read it this past summer after seeing/hearing an Orthodox apologist somewhere argue that all the apocryphal books are historical and reliable. It’s difficult to take that sort of simplistic statement seriously when books like 4 Ezra are included, and are clearly a-historical. (And even wildly incorrect in the few historical details they do try to include.) Nevertheless, what I saw in the portions I read (before giving up) was a window into the worldview and theology of Second Temple Judaism that feeds the imaginary thinking of the early church. Thanks for this helpful article. You are exactly right here. Many of the books classified in the ‘apocrypha’ are not historical books. What does it mean to say that Ben-Sirach or Wisdom is ‘historically reliable’? But if we want to understand the New Testament documents in the way that their original recipients did, we need to be familiar with the literature and the thought world through which they understood and interpreted them. I have read some of 4 Ezra, the part that contains the discussions of what happens to a soul after death and prayers for the departed. 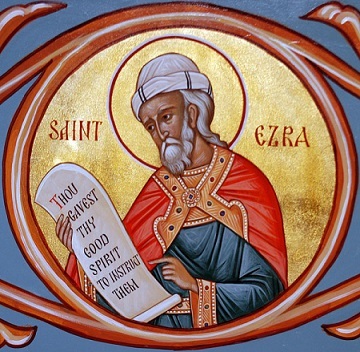 How much does 4 Ezra influence Orthodox theology of death and afterward? There is a lot of this material in the first three visions in 4 Ezra. I want to offer a slight corrective to how we ask this question, though this likely isn’t what you intended by phrasing it the way you did. We tend to speak as if particular beliefs are derived from particular Biblical or extra-Biblical texts. This assumes that at some point, the Christian religion was constructed using Biblical texts as the basis, like an instruction manual. But the reality is, of course, that there were Christians before, during, and after the composition of the texts, and before that there were Jewish worshippers before, during, and after the composition of Second Temple Jewish texts. So when we see images, ideas, and beliefs in these texts, it reflects the fact that these images, ideas, and beliefs were already part of the experience of God and the worship of the people of that time. So, to answer your question, I think that this shows that many of the principles regarding, for example, prayers for the dead which are practiced in Orthodox Christianity are in continuity with the understanding and practices of Second Temple Judaism. To take one of those principles as an example, the idea that the righteous may intercede on behalf of the wicked until the day of judgment, but that then that judgment is final, is explicit in 4 Ezra. So I wouldn’t say that 4 Ezra influenced Orthodox theology on these matters, but rather that the beliefs of 1st century Judaism that we see reflected in 4 Ezra are continuous with Orthodox Christianity, and that this constitutes strong evidence that Orthodox Christianity is the religion of the apostles. Hi. Where can I read all of Ezra ? Where do I find a reliable, accurate script/ account ?